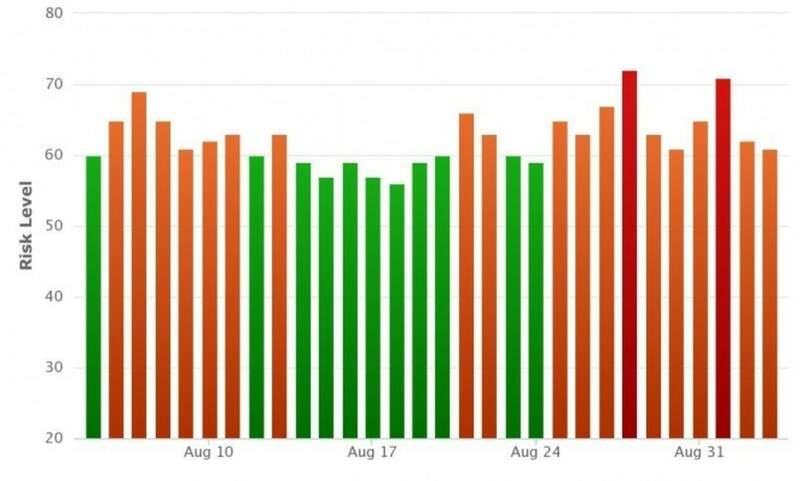 There are numerous indications with the SERP trackers that an update to the Google Panda algorithm was rolled out this week, starting around the 28th August and continuing throughout the first week of September. Published: Sep 4, 2015. 10:28 +0100. Other users in that forum thread seem to agree, and this thread at Blackhatworld appears to be noticing the same thing. I am possibly seeing some Panda related movement, but it's only affecting a couple of sites so far. ...but TBH the changes are so subtle I'm reluctant to call it Panda for sure. Will keep a close eye on things the next couple of days. @rustybrick @Marie_Haynes Yes, saw some sites that looked like they were recovering, but didn't. Not much activity at all from Panda 4.2. Seroundtable Google Panda. © Search Engine Round Table. Google Panda Update subject to Extended Rollout? With no word directly from Google, we think this is the most logical explanation at present. The Rank Ranger Risk Index shows a peak on the 28th August and 1st September, as well as a fair amount of movement over the entire of the last week or so. MozCast shows a spike on the 31st August, but also several spikes over the previous weeks. The insight from ex-Google employee Pedro that Google Panda could (it is speculation on his part) roll out in managed stages is kind of interesting. Couple that with the fact it took ten months for Google 4.2 to arrive after the previous update, along with indications that there are technical reasons for a slower roll out, we suspect that there may be more SERP movement to come as they seek to refine what must be a very sophisticated update. Our advice to webmasters is that we suggest you continue to review and improve the quality of your website to ensure that not only that you improve your Panda Score, but also avoid any future declines in the SERPs as Google continues to find more signals that indicate high-quality content and tweak their algorithm accordingly.